Are the Irish a sad people or a happy people? Or is that too simplistic a question? Yes, it is simplistic; and yet the Irish seem, in general, to swing in moods between wit and laughter at one moment to the deepest melancholy at another. Maybe the 800 years of tyrannical British oppression in Ireland transferred itself to the Irish in Ireland and the Irish in the Diaspora, particularly in the United States. This, plus discrimination based on ethnicity and religion (remember “No Irish Need Apply”) and prejudice against a people forced into exile much like the ancient Israelites, resulted in such dreadful moods? Maybe this moodiness was passed down generation to generation? The Englishman William Shakespeare could write great plays about tragedy and comedy. The Irish, however, lived with tragedy and relied on comedy and wit to ward off the brutality of life. Two excellent examples of Irish Americans who lived with tragedy and yet became renowned for comedy were Jackie Gleason and his pal Art Carney. Comedy, wit, satire, and a sense a humor can be an antidotes for human sadness -- at least to some extent. 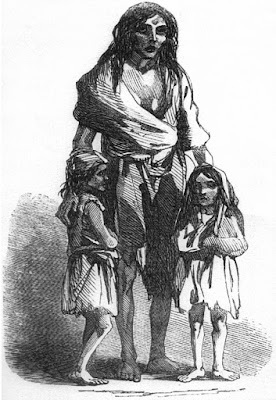 The Irish have shown this over the centuries from the 18th century creator of “A Modest Proposal,” Jonathan Swift, to Peadar Kearney. Art Carney and Jackie Gleason are good examples of this mix of comedy and tragedy in the Irish in America. Carney and Gleason lived with suffering and tragedy in their lives … but they became masters of comedy. Carney served in the US Army during World War II and was sent to Normandy in France in July of 1944 as part of the replacement troops after the D-Day invasion. He was an infantry soldier. He was wounded in the leg during combat against the Germans. His injury came as he had just finished preparing his machine gun position and was reaching for his canteen. Shrapnel from German mortar fire ripped into his right leg leaving him seriously wounded. He was hospitalized for many months and suffered for the rest of his life from a shortened right leg, a resulting limp, and pain. By 1950 Carney appeared in a variety program called “Cavalcade of Stars.” This popular variety show also starred another Irish Catholic comedian named Jackie Gleason. The two hit it off and made a great comic team. Despite obtaining some business success, Art suffered from alcoholism. 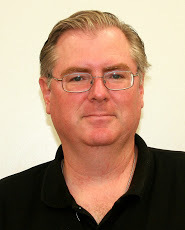 His drinking problem started when he was a teenager and continued throughout adulthood. He wisely joined Alcoholics Anonymous, however, and began to manage his addiction. Art was married in 1940 to Jean Myers but divorced in 1965. In 1966 he married Barbara Issac but divorced in 1977. He married Jean Myers again in 1980 and remained married to Jean until he died in 2003. Carney suffered a mental and physical breakdown in 1965 and had difficulties with marriage and with alcoholism again. He sought psychiatric help and was admitted to a hospital for treatment. At a low point in his life, his pal, Jackie Gleason, asked Art to revise the role of Ed Norton in a skit on “The Jackie Gleason Show” on TV. The reappearance of Ed Norton was a smash hit, fans loved it, and Art continued the role, off and on, for a few more years winning more Emmy Awards playing the famous sewer worker. Art Carney, it was said, claimed that Ed Norton saved his life. Most impressive of all, Art Carney won an Academy Award in 1974 for Best Actor starring in a film about an elderly man and his journey with his cat called “Harry and Tonto.” When he won this Oscar, for a role he originally felt he was unfit for, Art stunningly beat out several famous and well established Hollywood actors -- Jack Nicholson, Al Pacino, Dustin Hoffman, and Albert Finney. 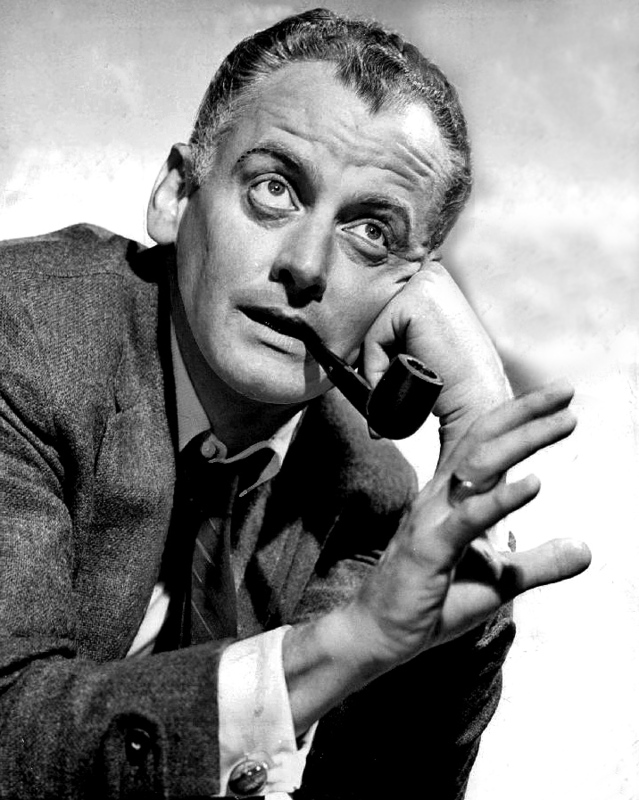 Art Carney’s talents in entertainment were varied, and he became successful in many ways. But he will always be remembered for one role above all others. That was of the best friend of Ralph Kramden’s, portrayed by his real friend, Jackie Gleason. A scene from "The Honeymooners"
The Honeymooners first appeared in 1951 as a sketch in the larger variety show Cavalcade of Stars. It lasted as a sketch for three more years -- 1952 to 1954 -- until the famous 39 episodes were made in 1955 to 1956. After that it lasted just as a sketch within “The Jackie Gleason Show.” Art Carney’s Ed Norton was an essential part of that great program. Jackie Gleason insisted that only Art Carney could play the role of Ed Norton, however, whenever the skits reappeared, although other actresses filled in for the roles of Alice and Trixie. Gleason greatly admired Carney’s performance as Norton and publicly gave Art Carney credit for the success of The Honeymooners. Art lived with tragedy and excelled with comedy. He lived through the horrors of combat in World War II. He endured and overcame an addiction to alcohol and struggled with mental depression and physical exhaustion. Art Carney brought laughter and joy to his many fans through his fine acting and died of natural causes at age 85.
from "The Jackie Gleason Show"
He was Irish, and he was Catholic -- from Brooklyn, New York. 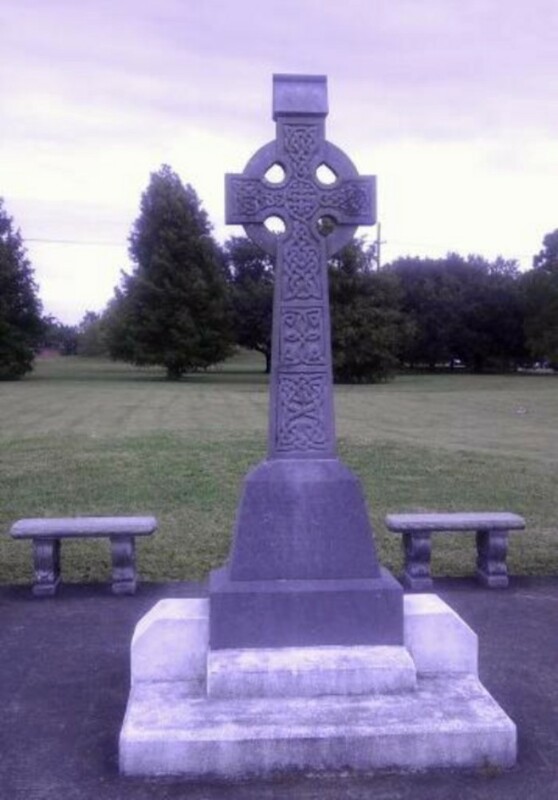 His last name was Gleason which comes from the old Irish Gaelic name “Glasain” or “O’Glasain” which possibly originated in County Cork but was also found in Tipperary. His father’s father was an Irish immigrant. It was said in ancient Ireland, the Glasains were rulers or even kings. One day many, many centuries later, another “Glasain” would became great as well, The Great One. Born in 1916 with the name Herbert Walton Gleason, Jr., Jackie’s childhood was very sad. He was raised in a poor neighborhood in Brooklyn and lost both of his parents and a brother at an early age. His father disappeared from his family when Jackie was only seven years old, abandoning the family. His brother died reaching just age 14. Gleason’s mother, Mae, who preferred to call him Jackie, clung to him as the only one left in the family. She insisted he be raised as Roman Catholic and tried her best to instill in him a religious faith that he would surely need in his difficult life. Jackie loved his mother, but he could not be like the other kids. He did not even start going to school until he was eight years old. Sadly, Jackie’s mother died when he was still young, in his late teens. In addition to the pervasive poverty, when he often went hungry, such personal losses were devastating for a young boy. Later in life he commented to an interviewer that he felt embarrassed to get free food from various stores which gave out extras that were labelled “Free Food.” He would tear off the label feeling ashamed. Much later in life, after he made money in entertainment, he would buy lots and lots of food and other things as if to compensate for earlier deprivations. He was not a happy student. He often skipped class and visited pool halls and vaudeville shows in New York. He eventually dropped out of school totally in the eighth grade. He worked odd jobs and lived with his beloved mother until he was 19. When she died, he said, he owned exactly 36 cents. That was his net worth in the world. So, before he was 20 years old, he had an abandoned father, a dead brother, a dead mother, an eighth grade education, and 36 cents. And that was all. The year was 1935 -- right in the middle of the Great Depression. in 1949 in "The Life of Riley"
Jackie found work in comedy and entertainment, married and had children. (He would eventually divorce after many years -- a delay due to religious reasons -- and marry a woman he had been in love with many years earlier, Marilyn Taylor, the sister of his dance leader, June Taylor.) His early career went up and down, with very little stability. He had problems with his weight, and he began to drink. Alcohol became a constant companion throughout his life. He went from entertainment job to job, trying to find his place -- he did bit parts in Hollywood films, radio, even Broadway shows. It was just enough to get by but was always a struggle. His first real break was to play the role of Chester A. Riley in the 1950s TV show called “The Life of Riley,” which later starred William Bendix. Jackie played Riley only from 1949 to 1950. But what really made the breakthrough for his career was his own show which appeared in several forms and under different names over the years -- “Cavalcade of Stars” and “The Jackie Gleason Show.” There was music and dancing with the popular June Taylor Dancers, and Jackie devised and acted in many roles. Gleason was very clever and understood television. He knew an audience would soon tire of the same person over and over. So, he created many characters of different natures, and he played them all to brilliant comic perfection -- Reginald Van Gleason III, Joe the Bartender, and perhaps most brilliant of all, The Poor Soul. The last one was a sad character who never spoke and was always facing some difficulty in life. He knew audiences would sympathize with this, and Jackie was right. Now, in addition to making people laugh, Jackie could make people cry and love the character. Jackie Gleason drew from his sad youth to touch the sympathies of his audience in ostensibly comic characters who had a deep tragedy underneath. Audiences were now emotionally attached to Jackie Gleason. Jackie had done it. In the mid 1950s he was at the top, TV’s highest paid star. He dominated Saturday night television with his variety show and lived on forever with “The Honeymooners.” He became The Great One. (Supposedly, he was first named “The Great One” by none-other-than Orson Welles.) Expressions like “And away we go” and “How sweet it is” were synonymous with Jackie Gleason. Jackie went on to play in films and even dramas. He portrayed the great pool player Minnesota Fats starring with Paul Newman in “The Hustler.” He starred in a film called “Gigot” where he was acclaimed for his portrayal of a sad mute (somewhat reminiscent of The Poor Soul). Later he was in popular films like “Smokey and the Bandit.” Jackie became extremely popular and wealthy. Jackie Gleason, the poor Irish Catholic kid from Brooklyn, lived with great tragedy, personal sadness, and hardship. He used comedy as a way to escape misery and built a tremendous career from it. The Great One died of cancer in 1987. Irish wit and humor are a key part of the Irish culture. But do not be fooled; the laughter is typically a means of dealing with the sadness underneath. That was often the case with Gleason and Carney. Still, we can be thankful to people like Jackie Gleason and Art Carney who were truly great at this gift of humor. They could make people turn away from sorrow and laugh and be happy for awhile … when their Irish eyes were smiling. Sources and Further Reading: ABC’s TV program on Jackie Gleason called “20/20”; Origin of the name Gleason at Wikipedia at https://en.wikipedia.org/wiki/Gleason_(surname); Jackie Gleason biography site at http://www.jackiegleason.com/bio.html; information on his biography at http://www.imdb.com/name/nm0001276/bio; See Carney name origin at https://www.ancestry.com/name-origin?surname=carney and https://www.houseofnames.com/carney-family-crest; Chicago Tribune article on the death of Art Carney http://www.chicagotribune.com/sns-carney-story.html; Wikipedia’s article on Art Carney at https://en.wikipedia.org/wiki/Art_Carney ; information about Paedar Kearney at https://www.antiwarsongs.org/canzone.php?id=38220&lang=en . All photos are in public domain. 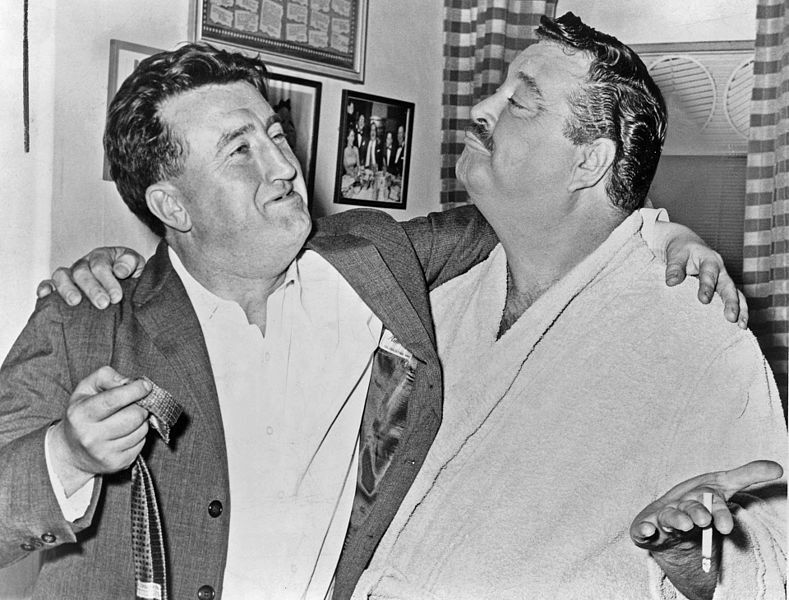 St. Patrick's Day at https://en.wikipedia.org/wiki/File:Jackie_Gleason_show_1955.JPG; Brendan Behan at https://commons.wikimedia.org/wiki/File:Brendan_Behan_and_Jackie_Gleason_NYWTS.jpg; Life of Riley at https://en.wikipedia.org/wiki/File:Jackie_Gleason_Rosemary_DeCamp_The_Life_of_Riley_1949.JPG; Honeymooners scene at https://commons.wikimedia.org/wiki/File:Gleason_honeymooners_1965.JPG; full cast at https://en.wikipedia.org/wiki/File:The_Honeymooners_full_cast_1955.JPG; Art Carney at https://en.wikipedia.org/wiki/File:Art_Carney_-_1959.jpg.